Animals without backbones are called invertebrates. They range from well known animals such as jellyfish, corals, slugs, snails, mussels, octopuses, crabs, shrimps, spiders, butterflies and beetles to much less well known animals such as flatworms, tapeworms, siphunculids, sea-mats and ticks. 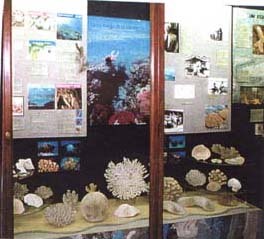 Displays of the invertebrate phyla and the members of the University who studied them, were created by a Manpower Services Team from 1987-1989. The latest display illustrates the phylogeny of insects. It was created in 1999 by a Zoology Honours student using specimens from two insect collections formerly used to teach Agriculture and Forestry. 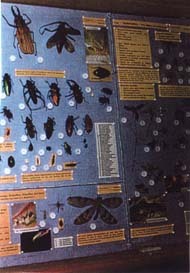 The beetle collection was used to teach forestry students about wood boring and pestiferous beetles. The specimens include significant pests from many regions of the world. Some beetles are very large and some are very small; many are very beautiful. The collection was catalogued by a Zoology Honours student in 2002. The web pages illustrate the specimens and the damage they cause. Butterflies belonging to the Collections were photographed to make 'A Guide to the Identification of the butterflies of the United Kingdom and the Republic of Ireland' by a Zoology Honours student in 2000. During the last hundred years, significant numbers of parasites and their vectors were amassed for teaching biology, veterinary and medical students. The microscopic organisms - protozoa, tapeworms, flatworms, roundworms, mites, fleas, lice - are preserved on slides; the larger organisms - ticks and flies - in spirit. 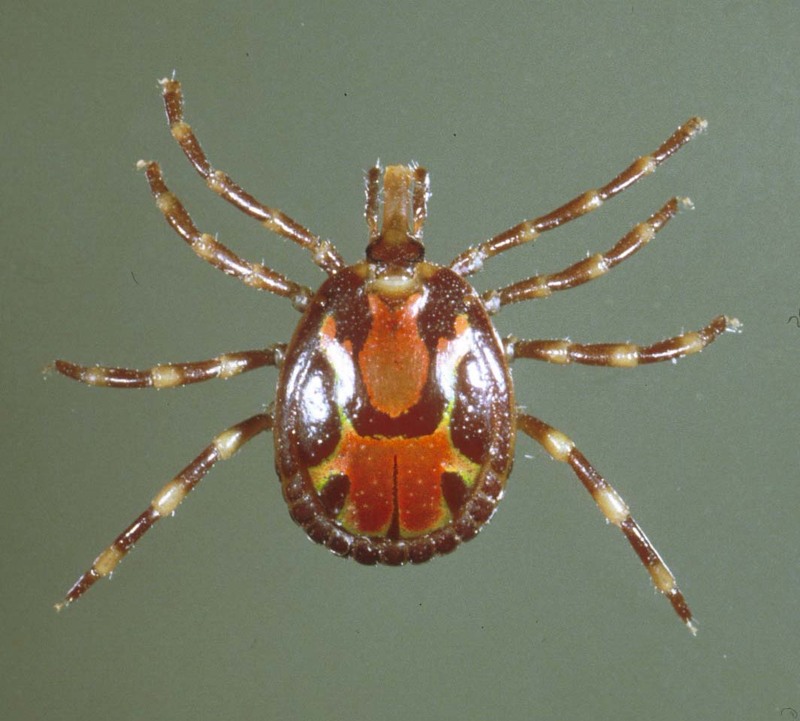 The tick cataloguing project carried out in 2001 showed that the ticks come from all over the world and from all kinds of domestic and wild animals.